Human Growth Hormone (HGH) is a natural hormone made by our anterior pituitary gland in the brain. It is a very important hormone because it controls many functions. HGH promotes growth and is important in metabolism. Human growth hormone stimulates cell replacement, brain functions, enzyme function, and tissue repair. HGH use is increasing in medical studies for reversing the effects of aging. One study showed that HGH reduced body fat without changing eating, smoking, and exercises. In the study, men lost 14% body fat. Most men gained 8% muscle mass. This study was men 61-80 years old. Human growth hormone is used in treatment of Aids to aid in muscle wasting. Many people use human growth hormone to increase their vitality. Many claim HGH helps with energy, weight loss, muscle growth, disappearance of winkles, and improved sexual performance. Many who take HGH claim that it gives them energy and reverses age 10-20 years. Some claim HGH helps them think clearer and improves concentration. Unfortunately, the body’s production of human growth hormone decreases after the age of 30. The HGH level is measured by drawing blood for IGF-1, called Insulin Growth Factor. Please visit Atlanta Wellness and Aesthetics to have an human growth hormone test if you think your HGH levels may be low. As your body has less HGH, your body can show signs of aging such as less muscle mass, slower healing of wounds, decreased joint cartilage, poor blood sugar, lower response to insulin, anxiety, fatigue, decreased sleep or lower quality of sleep. Human growth hormone should be ordered by a doctor, and the patient is usually trained to give it by self injection. Like any medical treatment, taking HGH can be abused. Many athletes used hormones in high dosages and without monitoring. Some people take some HGH supplements that do not require prescriptions, thinking these are safer. Because taking HGH can be dangerous, it needs to be monitored by a hormone trained doctor. Serious side effects may come from HGH abuse, such as Acromegaly, Carpal Tunnel Syndrome, Arthritis, and Edema (swelling). HGH side effects are usually caused by high levels of growth hormone (IGF-1 that is above 500ng/ml). Growth hormone deficiency in adults is important for two reasons: the evidence that growth hormone deficiency can have adverse effects and the availability of growth hormone preparations for treatment. 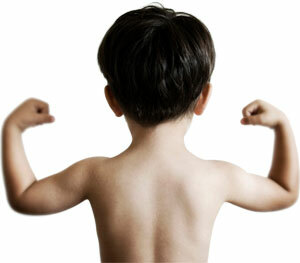 Growth hormone deficiency in children typically presents as short stature. In adults growth hormone deficiency effects on cardiovascular system, psychological function, body composition, lipid profile, bone mineral density and mortality. Growth hormone deficiency is common in patients with hypothalamic-pituitary dysfunction as the result of previous traumatic brain injury or aneurysmal sub arachnoid hemorrhage. The other causes are aging, pituitary tumor or consequences of treatment of the tumor, idiopathic and other less common conditions. When growth hormone is released into the blood stream, it has effects on all organs of the body. One of the major effects of GH is to stimulate liver to produce IGF-1. GH and IGF-1 cross blood brain barrier and improve brain function. IGF-1 has a cytoprotective effect against A-beta amyloid plaque formation, which is commonly found in Alzheimer’s patients. Post traumatic brain injury(TBI) who were treated with growth hormone showed significant improvement in concentration, memory, sleep, depression, anxiety and fatigue. Carotid arteries and Atherosclerosis: HGH decreases C-reactive protein and interleukin -6 concentrations markers of inflammation that play a role atherosclerosis ., thus decreasing atherosclerosis and narrowing of carotid arteries. For adults with severe clinical manifestations and unequivocal biochemical evidence of growth hormone deficiency ,we suggest growth hormone replacement. American Association of Clinical Endocrinologists does not approve use of HGH for indications such as aging or sports.